Strategus / All / Why Use an Expert to Mange your Online Advertising? Paid online advertising has the potential to drive highly qualified, targeted traffic to your website in minutes. Compared to SEO which can be a slow process, and with growing competition and more pages on the web, businesses can find it hard to maintain consistent results organically so many turn to online advertising as an easy alternative. Online advertising (such as Google AdWords) can be a much quicker way to get returns – but of course this comes at a cost, where usually you’ll pay per click for services like AdWords that work on a bidding system. Because of this, it’s important that you understand where your money is going, and what return on investment you’re getting. All too often, businesses set up their own ad campaigns, then sit back and wait for the sales to roll in – only to find they quickly burned through their budget with no tangible results. When it comes to spending your precious marketing dollars, here’s just a few reasons why using an expert to manage your online advertising spend will save you money. Tracking your online advertising spend and performance is crucial to analyse the results of your efforts. While you may track sales in-store, it’s hard to monitor where those sales originated or if your ad campaign contributed to conversions. Hiring an expert to configure tracking of your website goals (eg. ecommerce conversions, phone calls, email clicks or form submissions) and analyse how your different ad campaigns perform allows you see which ones are effective, and which ones are not. When doing online advertising, it’s important that all visitors that come to your site are tracked into a web analytics software such as Google Analytics that records where they came from (such as which AdWords campaign, Ad Group or social media post for example) and how they perform onsite (do they leave straightaway? Do they buy? What pages do they view?). This involves “tagging” your campaigns so this information can funnel into your analytics software for easy analysis. Setting up tracking codes and tagging involves (at the very least) basic HTML knowledge to implement on your website. While some businesses opt to pay their webmaster or web design agency for this, often it takes more time for them to do this (costing you) as it’s not their area of specialty. 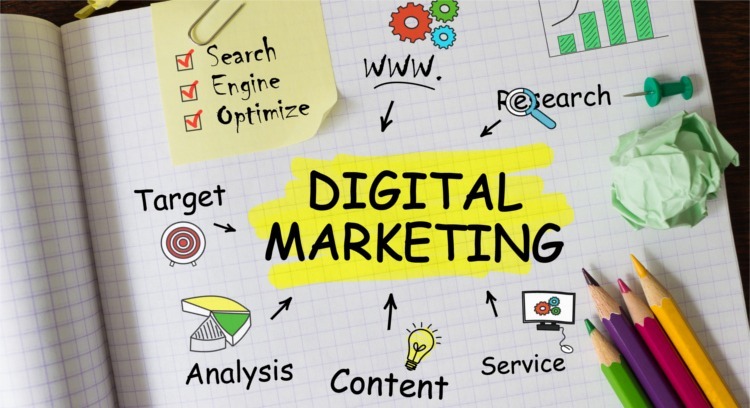 Most digital marketing experts however have strong HTML knowledge and understanding of tracking software, requirements and restrictions, so are able to implement the best solution in the most efficient way. “PPC, CPA, CPC, CPM, remarketing, impressions, view-through conversions….” It’s easy to get lost in the world of online terminology and jargon, especially in online advertising programmes such as Google AdWords. Many businesses find when they set up their own ad campaigns, they spend a lot of time trying to understand these terms and subsequently decide what’s relevant to analyse and report on for their business. When using experts to manage your online advertising however, they already have a deep knowledge of these terms, and can explain and report on these in an easy to understand way that relates to your business. TIME TO GET THE SPECIALISTS IN? Setting up, managing and optimising your online advertising is time intensive and requires expert knowledge to ensure your money’s being spent in the right way to increase your returns. Typically when hiring an expert to manage your online advertising, they’ll research your business, industry, competitors and keywords and consult on how to best utilise your budget. Experienced experts will actively manage and optimise your ad campaigns rather than “just letting it run”, which ensures you get the best ROI. Furthermore, ongoing reporting and recommendations for improvement (of your ad campaigns as well as your website) will help identify areas of opportunity for your business. While using an expert on top of your ad spend obviously adds to your overall cost, the added value definitely surpasses that and allows you to focus on what you do best.